Dr. Allred was born and grew up in Salt Lake City, Utah. He served an LDS mission in Connecticut. When he came back to Utah he married his wife, Nanette. He received a degree in Zoology from Brigham Young University and Weber State University. 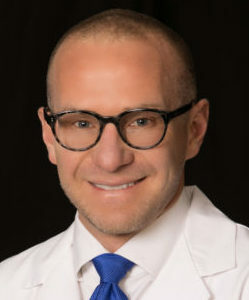 He then went on to receive his Medical Degree from Wayne State University in Detroit, Michigan and completed his four year OB-GYN residency at William-Beaumont Hospital. He was welcomed with open arms at Madison Women's Clinic in July 2002. He is a recognized Fellow by the American College of Obstetricians and Gynecologists, and board certified. Dr. Allred is fully trained on the Geneveve by Viveve.